This one is scary. Ship running blind out on the open oceans.Take a look at this article that is discussing the potential of this being and issue and what governments are doing to get in front of the issue. What has brought this to the forefront of thought has been a flurry of GPS jamming incidents. Hopefully, this will help to initiate a more conscious effort to come up with some of the alternatives that have been available for years. For those of you that have already jumped on to the bandwagon and have implemented Intercept in your Organization you have great news from Sophos Labs. The recent outbreak attacks that have been in the news of recent Ransomware attacks “WannaCry” and “Petya”, protected those machines that had Intercept X installed on them without any needed updates to recognize the attacks. This is another proof of concept behind the security that this products brings to your systems from this type of attack. This product is only going to get better. Later this year you will get a incremental upgrade to the product that also contains some increased “Smarts” that will do an even better job of determining malware that is attacking our systems out there. If you don’t have Intercept X yet, maybe you should think about adding it to your systems. If you think that we are under control of our technology innovations, think again. Hollywood has a habit of coming up with ideas about futuristic events that might happen and then suddenly technology catches up and makes it real. Here is the scary part of Artificial Intelligence (AI), to have machines begin to create, communicate without any type of control or intervention. This article brings up the notion of military bots getting out of control. That is really scary. I don’t know if this bothers you as it does me but I get chills just thinking about an out of control machine bringing violence and devastation on mankind. We have enough problems with humans becoming unhinged to create another problem that could escalate into this direction. What are your thoughts? B&H’s Cris Silvestri put out this white paper on this new group of connections that we are finding on the new computers that we are buying. It is important that you use the right cabling with the right connection to prevent damage to your devices. So take a few minutes and download this article and have a read. This is an upcoming app that is targeted to the Education Market. Very simple UI with lots of easy to understand capabilities. Has built-in shape recognition. Automated graph creation by writing out the equation. You can insert images from Bing. You can then share the white board with other people easily. You can also share the same board with off-site individuals as well for collaboration. Microsoft originally introduced this in May 2017. It was designed to work with Surface devices and provides two-way inking for windows 10. Currently in private preview for Surface Hub devices, the new whiteboard includes collaborative inking, geometry recognition, table conversion, and automatic table shading. It’s really designed to let people share ink across multiple devices, and will be available on all Surface devices later this year. *Note that collaboration features require Office 365 business accounts with OneDrive for Business, and are only available on Surface Hubs at this time. No information that I can find when it will be available for other Surface devices or on Windows 10 generally. If you wanted to know how Microsoft is planning on keeping your copy of Windows 10 updated with security and bug fixes and new feature update builds. Another example of how embracing technology and automation can come back and bite you! The more technology that has reach back to the manufacturer you have in your home, the more data that they will be able to acquire about your habits, likes and dislikes and your infrastructure. So… you can either continue to acquire the products that seem to make your life easier and/or more enjoyable or you can run back to your cave and pull the rock back in front of your door. Is there a happy medium? I don’t think so! I look at the number of services and devices that I use and it has become enormous. Take a look at this article to give you another insight into what companies like iRobot have about you and your environment and how it could be used as a commodity sale to other companies. If you are or were thinking of using the Office 365 SharePoint Public Website realize that it will soon be disappearing. It is a pity since it gave you a quick website that you could add content to that your clients could visit. It was probably not often used since it did not utilize the domain name of your choice right out of the box. Of course this can be done but it wasn’t done without getting into the system and your domain hosting service to make the changes. But of course this is all mute now since Microsoft is cancelling this service. The SharePoint Online Public Websites feature is primarily used by a small percentage of our Office 365 customers for their own external-facing websites. Office 365 customers who currently use the SharePoint Online Public Website feature will continue to have access to the feature for a minimum of two years after the changeover date of March 9, 2015. Select Admin from the App Launcher. Scroll to Postpone deletion of SharePoint Online public websites. Select the I’d like to keep my public website until March 31, 2018 option. Beginning May 1, 2017, anonymous access for existing sites will no longer be available. If customers need more time to move their public website, they have a one-time postponement option for up to one year (March 31, 2018). Customers must select the postpone option by May 1, 2017. On September 1, 2017, when Microsoft deletes the public site collection in SharePoint Online, customers will no longer have access to the content, images, pages, or any other files that reside on their public website. Before September 1, 2017, customers should make a backup copy of all their public website content, images, pages, and files, so they don’t lose them permanently. On March 31, 2018, Microsoft will delete all public sites that have been postponed. Microsoft Forms is a simple and lightweight app for creating polls, surveys, and quizzes that lets your users easily gather customer feedback, measure satisfaction, learn what employees think, organize team events, and more. It works on any web browser, and includes features such as themes, logo and image support, real time responses, automatic charts, question branching, and support for collaboration. With this Preview, we will also be upgrading the Excel Survey feature, which will be renamed “Forms for Excel”. This update comes with a modern experience powered by Microsoft Forms to make it simple and easy to collect information into Excel. It can now be used without changing the organization’s sharing settings in OneDrive. The Preview comes with the quality, compliance, and security you’ve come to expect from Office 365. We have already enabled Microsoft Forms Preview for all First Release customers configured for entire organization, in June. - Allow users who access forms.office.com directly to create and share Forms (completed) - Enable app launcher tile for licensed users of Forms (completed) - Upgrade Excel Survey with Forms-powered “Forms for Excel” feature (completed) We will begin rolling out to the rest of Office 365, starting the second half of July, and the roll out will be completed by September. We have enabled Microsoft Forms settings in admin portal, so you could pre-configure Microsoft Forms for your employees before the roll out. 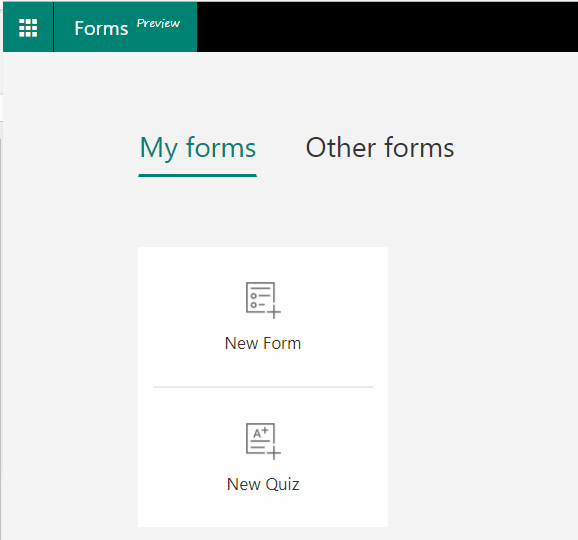 There is no change on Microsoft Forms for education customers, as it has been available since August 2016. This message is associated with Office 365 Roadmap ID 16254. With this release, administrators can now assign or remove Microsoft Forms licenses to employees on a per user basis. Removing the license from a user will prevent the user from creating forms in Microsoft Forms, but they can still respond to forms created by others. By default, Microsoft Forms is enabled for your organization. Microsoft is improving the column creation experience in modern SharePoint Online lists and libraries. You’ll begin seeing this new feature in the coming days. They will be rolling this out in late July, and the rollout will be completed in the next few months. I know that I am a couple of weeks late reporting on this conference but there were a lot of interesting things announced and discussions on how to help Partners like ourselves to work with our customers in understanding the Microsoft Cloud World and how we can help you to understand what is available and how to use it. From some of the sessions that I watched I have attained some ideas of what I want to do on this blog. I enjoy sharing some of the things that I find useful to me with you, but I need to get back into the exploration of what is available to you through your subscriptions to the different products that we support. So, you can expect a little more how to instead of just straight reporting on subjects that I have found interesting. Hopefully that will make this site more useful and interesting to all of you that are following it. Android has a long history of being the one of the most hacked and infected phone devices and so if this is what your phone is running you may want to look at this article. Don’t forget that Sophos has a free anti-malware package available for both ios and android devices. For other free Sophos Tools take a look here. Richard Hay, winsupersite.com discussed the built-in capabilities of Windows File Explorer to be used as an FTP Client. I love tips like these and always want to keep them somewhere so I can pull them out when I need them. That is one of the reasons I have this blog. Not only can I share with others but I also get to keep the info available for us as well. Anyway, Richard has great illustrations to lead you by the hand and explains very well how to use it and what you are able to do with this in File Explorer. FTP or File Transfer Protocol is a standard network protocol that is used for transferring computer files between a client and a server on a computer network. Microsoft with the Windows 10 operating system has been moved into a Software as a Service (SaaS) model instead of the more traditional 5 + 5 model of earlier versions of Windows. (meaning, 5 years of feature and security updates, and 5 extra years for security updates only.) Microsoft included a hardly read note that you are eligible for Windows 10 for the “supported lifetime of the device.” The problem is that each Windows 10 update receives security fixes for just 18 months. Version 1607, the latest that these Clover Trail machines can install, will drop out of support in early 2018 - after which they'll cease to receive any patches at all. 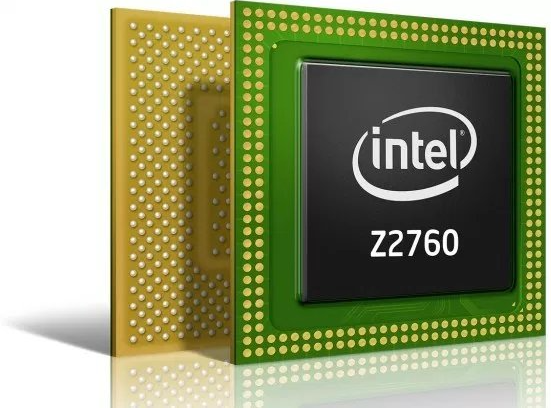 Acer is working with Microsoft to resolve this issue but how long before other processor’s support is pulled as well. With hardware evolving the push is on to continue to write code to take advantage of it and there is a lot of overhead to keep code in for machines that meet these expectations. It stands to reason that Microsoft will continuously prefer to support new and newer systems, choosing to prioritize these over older hardware configurations. It is now surprise that Phishing attacks have caused issues with a whole lot of people. Whether it is from “The Microsoft Service Department” wanting to help you get rid of unwanted malware by signing on to your computer to get a quick look and run their special software… to the IRS scams with the caller wanting you to satisfy your unknown tax bill or there will be agents coming to take you away. They are coming at us from all directions. Some are subtle and most are real sneaky. How do we test our organization to see if we are prepared and educated to be aware of these attacks so that we are not succumbed by them? How do we get trained to understand what we should be wary of? Sophos has an answer for you. Their brand new Phish Threat Protection service that allows you to setup campaigns to both train and test your employees. It is reasonably priced and is a good source for keeping your people on their toes. What is your weakest link in your organization? The People. Take a look at this whitepaper: Don’t Take the Bait and learn more about protecting your company today. Learn how to download and read free eBooks from the Greensburg Hempfield Area Library on your eReader, tablet, or smartphone. Bring your device and your library card to this free workshop. If you don't have a library card, bring your photo ID with your current local address, and we will issue you a card so you can use this wonderful service. Space is limited, please call the Library's reference department at 724-837-5620, extension 3 to reserve your spot or use the links below. Wireless Internet will be provided. This short video showcases the signatureless protection capabilities of Sophos Intercept X. The Petya/Petna/PetrWrap outbreak that made headlines on June 27th, 2017 not only attempted to encrypt documents, it also infected the master boot record to encrypt the master file table and prevent users from using their machines. Sophos Intercept X vs. Petya/Petna/PetrWrap Ransomware from Sophos on Vimeo. Russians need a passport to get a SIM card, a cell number to get a VK account, and the VK account to log into Pornhub. What's behind this new requirement? Join Sophos experts James Burchell and Greg Iddon as they explore, explain - and help you to fight back against - social engineering.